What’s better…Diamonds or Gold? How about both? From ancient times diamonds and gold have been recognized for their luxurious and beautifying properties. The exclusive Forever Flawless 24k Gold Collection incorporates both genuine natural diamond powder as an exfoliating agent, and 24k Gold, known for its age-defying beautifying properties, to an elite series that adapts to your skin’s unique needs for optimal results. Our Diamond Infused 24k Gold Collection is a targeted nourishing action. Formulated with pure 24k Gold, premium botanicals, essential vitamins, and the finest natural diamond powder, this luxury collection tones, refines, nourishes, and improves skin elasticity so the skin looks and feels firm, fresh, nourished, and revitalized. 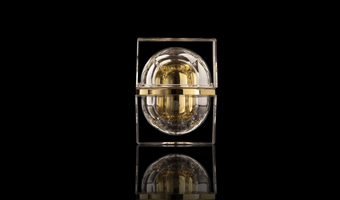 A recommended beauty regimen for the 24k Gold Collection is as follows: 24k Gold Nourishing Mask once a week or as needed. 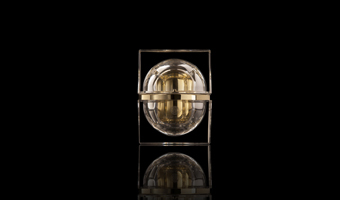 The Diamond 24k Gold Serum and Cream are to be used 1-2 times per week. First apply the serum and once fully absorbed apply the cream. This set is comprised of our Diamond Infused 24k Gold Cream, Serum, and Nourishing Mask. Our Diamond Infused 24k Gold Cream is a targeted nourishing action. Formulated with pure 24k gold, premium botanicals, essential vitamins, and the finest natural diamond powder, this luxuriously rich cream tones, refines, nourishes, and improves elasticity so the skin looks and feels firm, fresh, nourished, and revitalized. For best results, use with the Diamond Infused 24k Serum and Mask. Apply onto cleansed face and neck. Massage until fully absorbed. Use 1‐2 times a week. 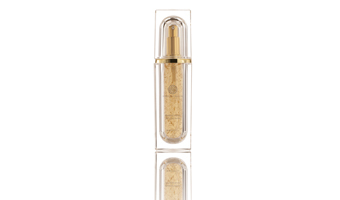 Our Diamond Infused 24k Gold Serum is a targeted nourishing action. The purest 24k gold substantially restores skin's elasticity and targets fine lines, marks, and any signs of premature aging, while the finest diamond powder exfoliates dead skin cells and brightens the complexion. This luxuriously rich serum tones, refines, nourishes, and improves elasticity so the skin looks and feels firm, fresh and revitalized. For best results, use with the Diamond Infused 24k Cream and Mask. Apply onto cleansed face. Pat serum on until fully absorbed. Use 1‐2 times a week. Our Diamond Infused 24k Gold Mask is a targeted nourishing action. This exclusive mask combines the powers of premium 24k gold and diamond powder to ensure unparalleled age‐defying properties. It tones, refines, nourishes, and improves elasticity of skin so it looks and feels firm, fresh and revitalized. For best results, use with the Diamond Infused 24k Cream and Serum. After cleansing, apply mask evenly to face and neck. Let the mask rest for 5‐15 minutes then rinse off thoroughly with warm water and pat dry. Use weekly.